I'm not sure how recent these are, but the signs looked fresh. They were on 44th between 6th and 7th. 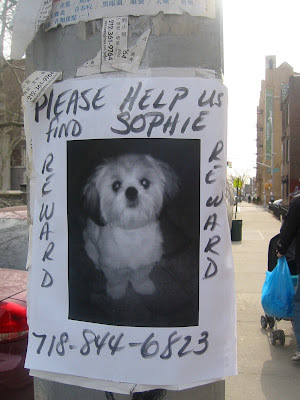 Have you seen Sophie?